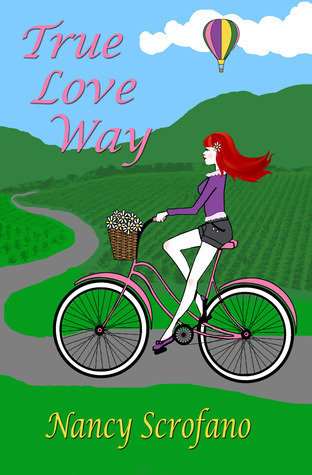 Good Choice Reading: Review: True Love Way by Nancy Scrofano! Review: True Love Way by Nancy Scrofano! When Nancy Scrofano emailed GCR and requested a review. Upon reading the blurb for her novel, I was quickly intrigued. I'm a huge sucker for a romance and happily ever after stories. So I quickly accepted to read and review it. However, as I began reading, I felt a little frustrated. For one this novel was very predictable. And towards the first half of the book, I felt I was reading a YA rather than an adult contemporary. The main character Marlo was hanging on to her past, to a guy who left her 12 years ago with not even a goodbye. Now I understand how someone may need closure to let go of someone or something. But in my opinion this main character acted and thought like a teenager. Her ex came back into town and requested to see her and instead of thinking about to seeing him to clear things out, she was thinking about how she can get things back to the way they were before he left. That way of thinking is too immature for an adult. Now if this was a YA, then this wouldn't have bothered me so much because young adults aren't always mature enough to make a smart decision. The author however does shake things up a bit and this helps Marlo in my opinion grow up a bit. This is when I actually start enjoying the main character and her story. She becomes more mature and start making wise decisions. She finally opens her eyes wide enough to see what or rather who is she has before her. That's when the story became what I expected, a true love story. I fell in love with two characters in this story, which is Nik (her best friend) and her Aunt Madge. Those two characters made the story so much better. I know I kind of rambled on in this review but the main character really annoyed me throughout the first half of the book. But after she matured and opened her eyes, I started enjoying the story more. I was rooting for Marlo to find her closure and to find True Love's Way. I give this book a 3 stars because of the frustration I felt towards the main character towards the first half of the book. But after that the story picked up and I really enjoyed myself. I just feel that if this book was written as a YA, I would have enjoyed it better. She wasn't mature enough for me. You are quite welcome. Hope you enjoy it.